The Berrien County Transportation Forum scheduled for April 2019 would not be happening if James Ivey didn’t make it happen. James is a young adult with a developmental disability and cerebral palsy who has a passion for the disability rights movement and isn’t afraid to speak up about it. James represents the Berrien County area on the Self- Advocates of Michigan (SAM) Board. He serves on the Public Policy, Advocacy, and Public Relations committees of SAM, and is chairperson of the Transportation Committee. Through his involvement with the Michigan Developmental Disability Council and SAM board, James identified transportation as the biggest issue for people with disabilities in his area. 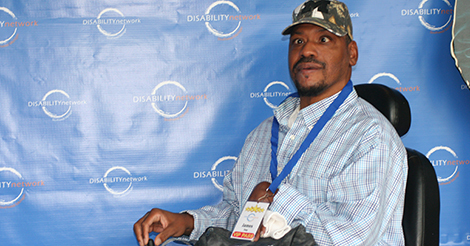 Disability Network staff worked with James to connect with community officials, politicians, and people with disabilities in his community to discuss issues around local public transportation and assisted him in planning a local transportation forum. This forum will be a model for SAM representatives to use throughout the state. James is not a novice to advocating for the rights of people with disabilities. He has traveled to Lansing and Washington DC on numerous occasions to provide input to legislators. James speaks with a passion you can’t miss – he is a voice to be heard!